Empires of EVE: A History of the Great Wars of EVE Online is the overly long title for the first EVE Online history book. It's really cool! EVE has consistently been a game that I love to read about but can never actually manage to get into the gameplay of. I've played a month or two here and there and it just never seems to grab me. But, it's super fun to read about! In this book the author covers the major nullspace history and faction wars between the beta of EVE and around 2009. He hints that there may be more books down the line but this one covers the launch of the game all the way through the first Great War. It's amazing how much thinking, planning, tactics, and spying go on in this game. It's especially cool to see how each group adapts to changes and upgrades in the game as time goes on. 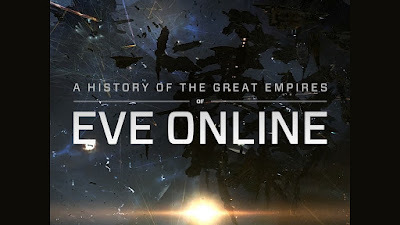 If you're one of those people, like me, who love to read about EVE then definitely consider taking a look at Empires of EVE: A History of the Great Wars of EVE Online.